went to the toronto botanical gardens to renew my membership yet again and i got there so late the office was already closed and i was told to renew online. no, i don't want to renew online because if i did, then i wouldn't have any motivation to visit the gardens. so i guess i will just need to go back there, n'est-ce pas? thanks, kind folks, for your comments and generous favs. you're the coolest! It's got great detail and of course yellow is always an appealing color- but I'd be tempted to turn it into some annfoolery if it was my shot. That was so last month;)! I like the details of this feather. Made me smile, so glad I'm not alone in doing 50+ in one go. Yours is well worth it though. @30pics4jackiesdiamond wanted to make sure got her message! LOL. But I agree with her. 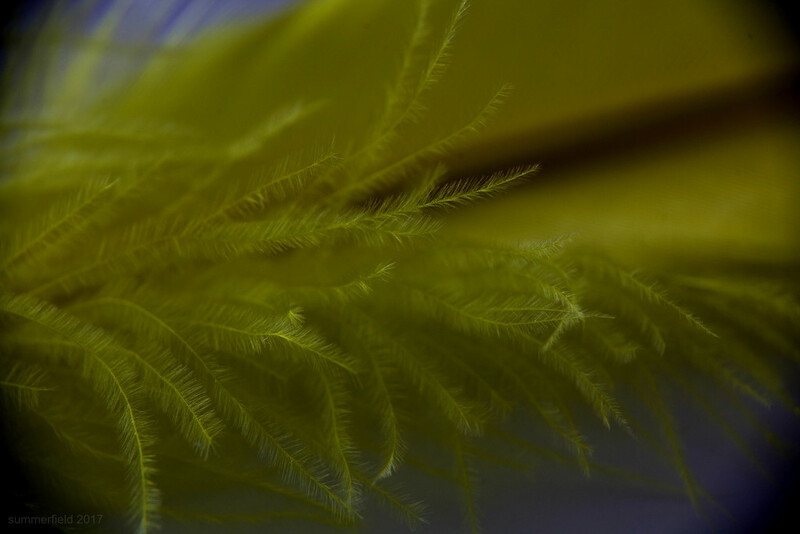 It has terrific detail and composition AND is a fascinating subject as this feather looks more like fashion than function.